Headlies: Linda McMahon Leaves Trump Administration, Signs With All Elite Wrestling - WrestleCrap - The Very Worst of Pro Wrestling! 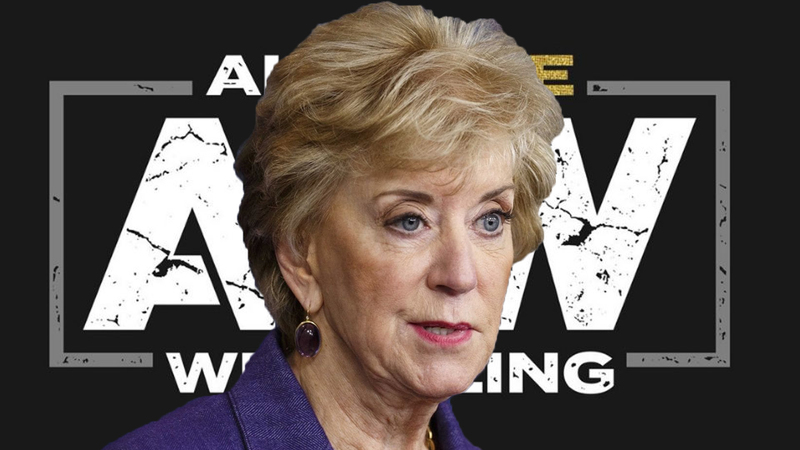 Orlando, FL – In a move that shocked both the political and the wrestling world, Linda McMahon has resigned from her position in President Trump’s Administration and has joined the upstart All Elite Wrestling company. McMahon, who had been serving as the Small Business Administrator, announced Friday that she would be leaving Trump’s Cabinet. She was seen as a steady and calming force in a tumultuous Administration that has seen numerous scandals and departures. The shocks did not end there as McMahon, whom many expected would return to the WWE, joined the competitors as AEW. Rhodes also announced that Linda McMahon will be appearing at Starrcast this May in Las Vegas. Tickets for her Meet & Greet sold out 15 minutes later. Wrestling Observer Live’s Dave Meltzer reported that McMahon turned down an offer to return to WWE that included a seven-figure contract, a Women’s Tag Team title run, and an eventual induction in to the Hall Of Fame. Meltzer also reported that her husband and WWE CEO Vince McMahon has drawn a line down the middle of the couple’s mansion ala “I Love Lucy”. 4 Responses to "Headlies: Linda McMahon Leaves Trump Administration, Signs With All Elite Wrestling"
The Linda-Bot 5000 will use the Starrcast 2 meet & greet to digitally scan the humans in attendance to create robotic versions of them in her plan to rule the world. The robots will be able to work 24 hours a day manufacturing more AEW merchandise with her mind controlling microchips implanted in them. Eventually these consumer drones will move to Connecticut en masse to vote Linda-Bot into the senate and then ultimately the president of The Connecticut Homes and Garden Society to teach those stuck up Greenwich pricks that they are important and not just those wrassling hicks. Obviously then the presidency of the country and Skynet takes over the world. Vince McMahon: Linda’s gone too far, she’s put cardboard over her half of the television. We rented Man Without a Face, I didn’t even know he had a problem!